Hazel Mills was 6 years old when she first enrolled in a recreational gymnastics program. With her small frame and muscular build, she excelled and moved up quickly through competitive programs. As a level 3 gymnast, Hazel started out practicing three days a week for three hours per session. By the time she was just 9 years old, she was a level 5 gymnast, practicing 12 hours during the week plus time on Saturday, when practice was encouraged but not required. “I think that unless you have a kid who wants to take [gymnastics] places, like the Olympics, there’s no reason to train that much,” says Hazel’s mother, Nancy Willerton. When Hazel’s back started hurting her as a level 4 gymnast, she was encouraged by her coach to “power through” her practices and routines, recalls Willerton. After a mediocre season and a personality conflict with the coach, Hazel wanted to leave the team. When her parents learned there would be new management and new coaches in the upcoming season, they encouraged Hazel to stick it out one more season to make sure it was gymnastics she wanted to drop and not the coach. But, Hazel’s overuse injuries persisted and intensified, and ultimately, she left the team last year. Willerton says her daughter was diagnosed with an inflammation of spinal growth plates. After six weeks of rest and physical therapy, Hazel’s back healed. “I think if she had continued there could have been discomfort later in life from that inflammation,” says Willerton. Dr. Brooke Pengel, medical director of Rocky Mountain Pediatric OrthoONE, says she’s seen an escalating number of overuse injuries. Back injuries, she notes, are among the most common types of injuries she sees in gymnasts. “With the emphasis on winning and success, and the trend of early specialization which goes along with changing kids’ schedules such that they have lengthy practices year-round and lots of competitions, we’re seeing more overuse injuries,” says Pengel. Physical therapist Matt Casseday, with Physical Therapy of the Rockies, says he too is seeing more children, starting at about age 10, with overuse injuries and also reinjuries. He sees young athletes with injuries from every type of sport, such as basketball players with foot and ankle sprains, baseball players with little leaguers’ elbow, and soccer players with knee sprains and ACL tears. Aside from the injuries, both Casseday and Pengel do see the significant benefits of kids playing on sports teams. Some of those benefits include learning teamwork and leadership skills as well as boosting self-esteem and getting them away from electronic devices to do fun physical activities. The problem, though, these days is the push to specialize early, meaning to choose one sport to focus on before the teen years. 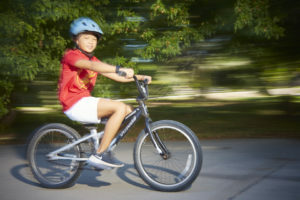 “Before 12, kids still have immature bones, open growth plates and they’re just not to the level of an adult in their strength and coordination, which makes them much more susceptible to injury,” Casseday says. The American Academy of Pediatrics (AAP) recommends holding off on focusing on one sport until after puberty. Early specialization does more than just put children at an increased risk for injuries, Pengel says, it can completely disrupt their lives. With practices running late into the evening, family dinners don’t happen, and their social life can be virtually non-existent outside of training. Furthermore, studies show that early specialization leads to early burnout. The AAP says that by age 13, 70 percent of kids have dropped out of sports. How to do it right? Encourage kids to try multiple sports before dedicating themselves to just one. This not only discourages burnout, says Pengel, but also reduces the risk of injury and produces a more well-rounded, better coordinated, stronger athlete. In fact, the AAP says that delayed specialization and early diversification of sports increases the chances that your young athlete will participate in sports throughout her life — and achieve greater athletic success. Studies of college and professional athletes show that the majority of them participated in multiple sports before specializing. In some sports, early specialization may make sense, says Pengel, because athletes tend to peak younger. These sports include ice skating, gymnastics, swimming and diving. 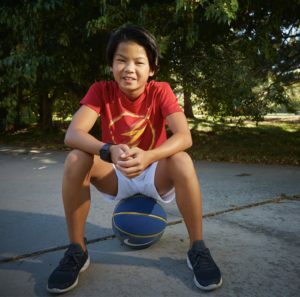 Eleven-year-old Hazel is now in a year-round club basketball league that practices about three hours a week, a cross-country team at her middle school and is planning to try recreational soccer this fall for the first time.